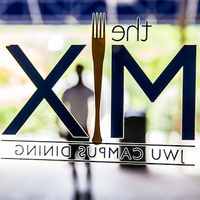 There’s always something new at The Mix, the North Miami Campus’ full-service dining hall. On the go? Pick up Starbucks coffee, snacks and baked goods at the Cyber Café.